A group of Leesburg residents is calling on the town government to discontinue its use of glyphosates around Town Branch, and the Town Council is set to consider alternative approaches next week. 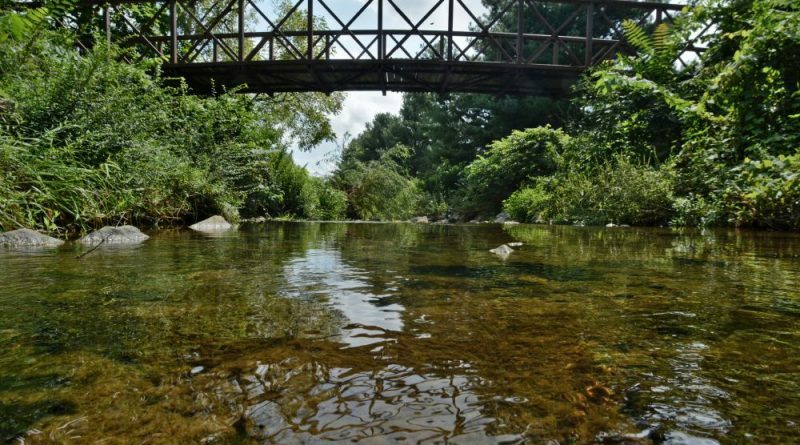 According to a staff report, the town has used AquaNeat, an herbicide containing glyphosate, along stream banks to control vegetative growth as a means of preventing flooding. Its own Environmental Advisory Commission has previously recommended using an herbicide that does not contain glyphosate as an active ingredient, while suggesting organic products as alternative solutions. Glyphosate is an herbicide sold in the U.S. by Monsanto since 1974 under the name Roundup. Residents who live along the Town Branch appeared before the Town Council last week to highlight their concerns. Michelle McGregor pointed to the reported health impacts of glyphosate, and the number of lawsuits and damages awarded to those whose health has suffered due to exposure to it. Just this week, the third trial involving the Roundup product—a glyphosate-based herbicide—is expected to feature testimony from a married couple who allege they developed non-Hodgkin’s lymphoma from their extended use of the product. “The more educated and informed we become as a township, the more we must hold ourselves accountable when hazards are inevitably informed,” McGregor said. Ten-year-old AilaMcGregor also petitioned the council, saying “a lot of things started to make sense” when she researched glyphosate. For example, she had stopped seeing fireflies and wildlife along the stream. She started an online petition asking the town to stop its use of glyphosate products. “Have you thought about the real cost—the cost of wildlife disappearing, cancer spreading? I’m coming to you not only as a kid of this generation but also as an adult of the next generation that will take the responsibility of the ecosystem of the planet,” she said. Another young resident, Elias Brock, wrote a poem about how he felt about glyphosate.“Is there no other option but to do this? Why not do it differently? Why not take a stand,” the poem read in part. Deputy Town Manager Keith Markel said the town staff would present the council with some options on how to proceed at its upcoming Monday night work session. The staff has tested some of the organic EAC-endorsed products, but found they require more applications and more manpower, and thus cost more money. Should the council decide to use of an organic, non-glyphosate-based product, it would likely require an increase to that part of the Department of Public Works’ budget. Markel said the staff has also researched other remedies, such as hiring crews for weed-eating, instituting an Adopt a Stream Bank program to engage residents, or even using a rent-a-goat program to control vegetative growth. In addition to determining the short-term solution of how to control vegetative growth in stream corridors over the next few years, Markel said, in the long term, the town government would like to make the Town Branch area more of an amenity—redesigning the space to create more channels and possibly even constructing a trail. 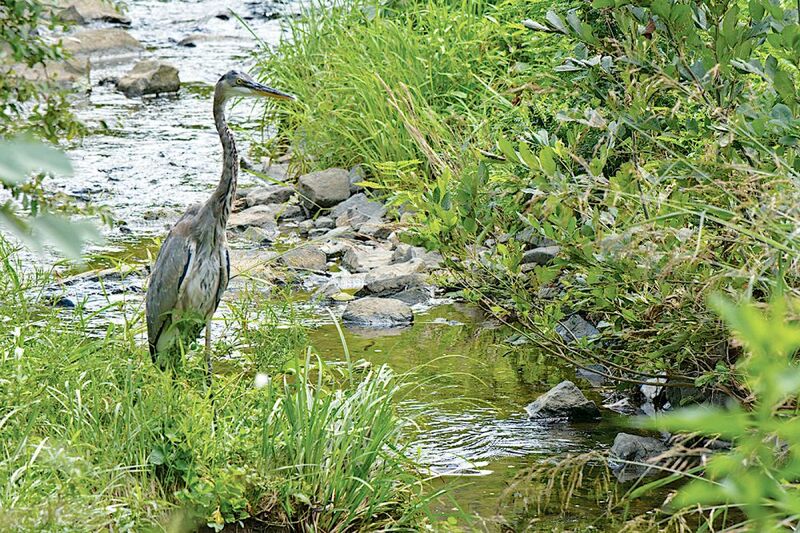 A heron stands along Town Branch in Raflo Park.